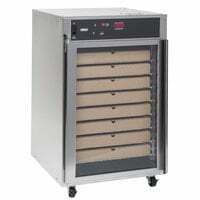 Perfect for convenience stores, concession stands, and high-volume pizzerias, pizza holding cabinets allow you to cook your pizzas and then hold them in a hot environment until they’re ready to serve. The interior of these cabinets maintain a high temperature, which keeps your pizza steaming hot without making the crust soggy or giving the pizza a reheated flavor. 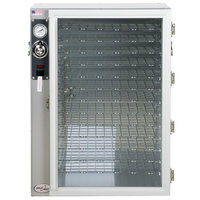 Several cabinets can also hold pizza boxes, so, rather than taking your pizza from the cabinet and packaging it, you can hand the hot-and-ready pizza directly to your customer. 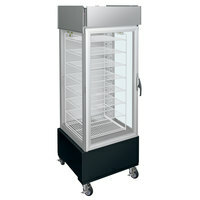 Also make sure to check out other great items from Alto-Shaam, Hatco, Metro and Nemco. 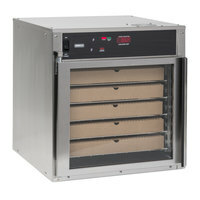 Pizza hot holding cabinets evenly distribute heat throughout the interior, allowing you to keep your pizzas, pies, and other food hot until it’s ready to serve to your customers. Additionally, several types of pizza holding cabinets are clear, allowing you to use them for display use at your convenience store or food court to increase impulse sales. 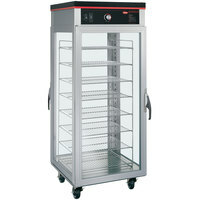 You can also find these products in a variety of shapes and sizes, making it easy to find the perfect holding cabinet for your business. 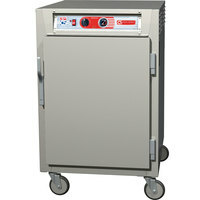 For more items for your pizzeria, check out our electric cheese graters, pizza peels, and pizza pans. 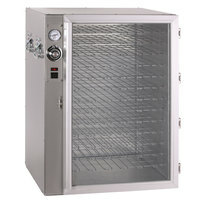 If you're wondering where to buy pizza holding cabinets, we have a large selection of pizza holding cabinets for sale at the lowest prices.